There are 4 homes for sale in the Estuary. List prices range from $324,900 up to $935,000. This is an average list price of $503,700 which equals $231.33 per sq. ft. of living area. In the past 12 months, 8 homes have sold in the Estuary. Sales prices ranged from $269,900 up to $900,000. This equals an average sales price of $452,250 which works out to $199.34 per sq. ft. of living area. These homes sold for an average of 96% of list price and went under contract in an average of 128 days. There is 1 condo currently available for purchase in the Estuary. This condo is listed for $169,900 or $158.19 per sq. ft. of living area. In the past 12 months, 7 condos have sold in the Estuary. Sales prices were from $138,000 up to $182,500. This equals an average sales price of $163,857 which works out to $153.46 per sq. ft. of living area. These condos averaged 81 days on the market and sold for an average of 96% of list price. Different sections of the Estuary include well appointed 2 and 3 bedroom condos with pool and lake views. 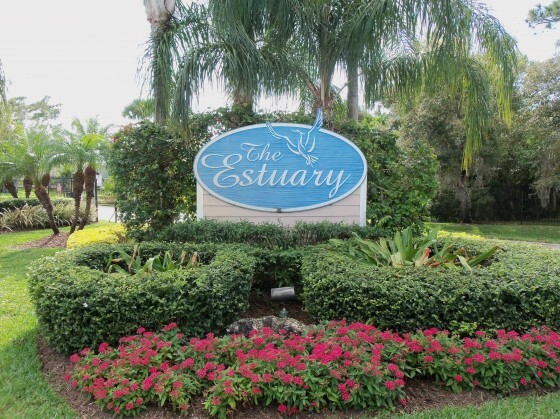 A select number of condos have mile wide river views of the Saint Lucie River. An inland section of varying styles, sizes and shapes of homes built from the early 1980’s and also called River Shores Plantation. In 2002, a section of the Estuary was added with villas and smaller single family homes on Tillia Trail with their own community pool. Larger single family homes were also added at this time along Estuary Court, Plumbago Trail and the western section of NW 21’st Terrace. 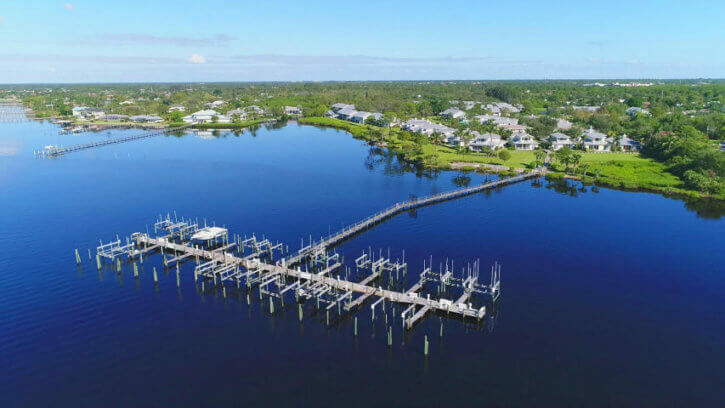 This section also boasts a community dock suitable for good sized vessels with ocean access just a few minutes away at the Saint Lucie Inlet. Homes on Plumbago Trail also enjoy spectacular wide water views. The Estuary is truly a wonderful place to call home.